ATLANTA — Let me be clear. Nobody “lost” SEC Media Days. Had an SEC coach or player dropped a Larry Fedora-like quote, perhaps I could make the argument that they took an “L.” That didn’t happen. 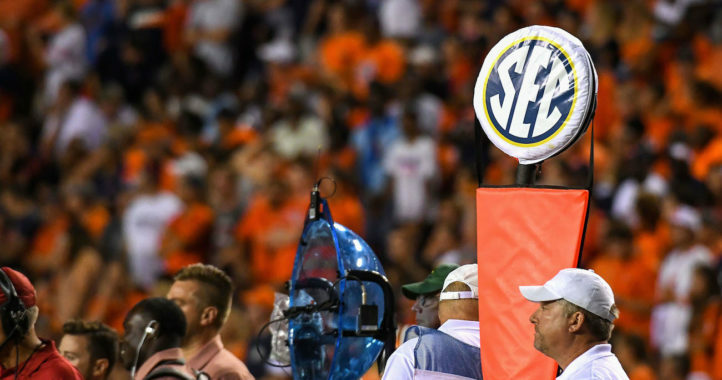 I preface that because if you read the title, you know that this is a column about winners and losers from SEC Media Days. And if I just broke that news to you, perhaps your title reading skills aren’t so great. 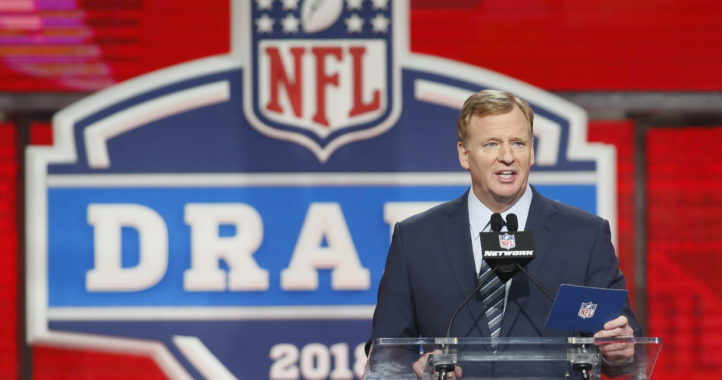 To me, winners are the teams who capitalized on the media days platform and the losers are those who didn’t. Does anything at media days impact anything that happens on the field in 2018? Probably not. But anyways, these are my winners and losers from Atlanta. You had to be there. Just trust me. It was hilarious. There was also Odom’s response to Cece Jefferson’s bashing of Mizzou’s weak home crowd atmosphere. Besides Odom having a solid showing in Atlanta, his first-round quarterback prospect did, as well. 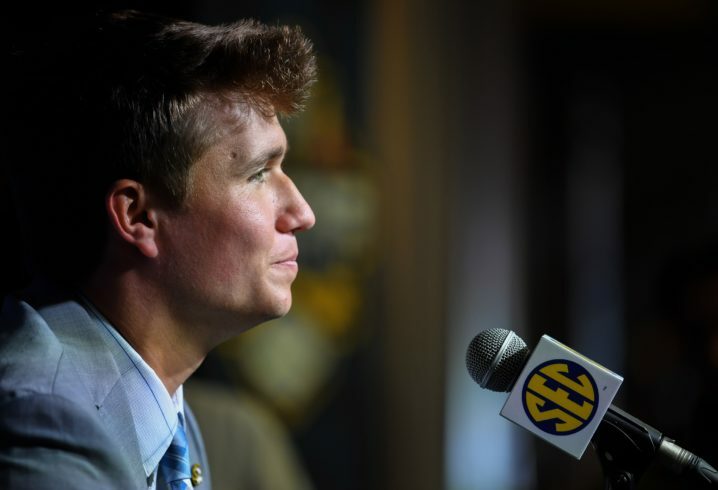 Drew Lock didn’t come off like a first-round quarterback with a bunch of canned answers. Our Adam Spencer asked Lock what he missed about playing basketball all the time, to which he responded “the s—talking.” Lock also got a chance to address Tom Herman’s mocking of his touchdown celebration at the Texas Bowl. Drew Lock was asked about Tom Herman’s mocking of his TD celebration. I don’t know how many points Mizzou is going to score under Derek Dooley, but I know that the Tigers scored a ton of points in my book this week. I had a feeling that Joe Moorhead would crush his first press conference in the SEC. He definitely won the award for “most confident coach” in Atlanta. For the vast majority of his time at the podium, he stood there with his hands in his pockets like he was casually talking to his buddies. Moorhead definitely won some MSU fans over by saying the goal was “to be the best Power 5 team in the state.” Gee, I wonder who he’s talking about? My favorite Moorhead moment was his response to my question about his “welcome to the South” moment. Just in case that wasn’t enough to make you like Moorhead, Nick Fitzgerald told the story about after the new coach was hired. Moorhead shot Fitzgerald a text, which said that he wanted him to figure out his ring size — that was the same thing he told other MSU players when he met in person — and that he wanted Fitzgerald to clear a space on his mantel for his Heisman Trophy. Moorhead wreaks of swagger. I mean, the dude said his walkup song would be “Victory” by Notorious B.I.G. and Puff Daddy. That’s a win for that comment alone. I wondered if Jeremy Pruitt was going to be extremely blunt at his first SEC Media Days. Pruitt was still himself — he told the story about thinking Eli Wolf was a manager and questioning if he could even block the Tennessee coach — but not in a post-spring game way. He had a great little soundbite after someone asked him a question about what advice he got from his former boss, Nick Saban. “You think Saban’s gonna give me some advice?” Pruitt joked. Pruitt handled himself well in Atlanta. He even waited back on a curveball and knocked it out of the park. He was asked about Aaron Murray’s comment that questioned Pruitt’s personality as a head coach. I didn’t find myself disagreeing or really questioning anything that Pruitt had to say, unlike his predecessor. I don’t know if that’ll translate into any short- or long-term success, but I know that Tennessee isn’t turning into anyone’s punching bag with Pruitt running the show. That was a much-needed precedent to set. Pruitt did just that Wednesday. I wasn’t sure how Jimbo Fisher was going to answer a question I had locked and loaded for him. I repeated his quote from 2017 ACC Media Days about the ACC establishing itself as “the premier conference in college football” and asked him how he felt about that a year later. To me, his answer wasn’t great for either conference. He didn’t want to declare a “premier conference,” but he instead said that he believed the SEC elevated the ACC into what it is today. Is that probably true? Sure. Did that answer my question? Nope. So when given an opportunity, Fisher did tout the SEC. Oh well. That’s not that bad of a look, though it is somewhat noteworthy in my opinion. A worse look was what Jarrett Stidham said about the Aggies’ previous staff. Apparently Kevin Sumlin didn’t exactly go all in to land the talented Texas native when he became available on the transfer market. “Honestly, coach Sumlin, he didn’t recruit me too hard. I probably tried to recruit myself to A&M a little bit harder,” Stidham said while meeting with reporters at SEC Media Days on Thursday. “Just because it was in-state, it was right down the road from where I was there in Waco. I had some family go to A&M before. Ideally, A&M was a close spot, I could see my family whenever I wanted and that kind of thing. Would Stidham have saved Sumlin’s job? We’ll never know. But Stidham would have at least been an upgrade at the most important position during Sumlin’s final season. But hey, the Aggies got their man in the end. Fisher is still a major win. To me, the top loser of the weekend was Florida. Honestly, that didn’t have anything to do with what Dan Mullen said in his first SEC Media Days as Florida’s new coach. And no, I’m not hating on his kicks. I’m hating on Florida’s new uniforms. Rather, the “big reveal” of Florida’s new uniforms. I mean, I get it. Having a big reveal is all the rage, but let’s be honest. It’s just like adding a logo to a jersey. Cool, I guess. But anyway, the other thing that bothered me more was what Jefferson said about Mizzou. Woah. I liked Jefferson’s comfortability with the media, but you can bet the Florida sports information department had some thoughts on that. That’s just not a smart thing to say about a team that destroyed you last year. I mean, maybe he just said that because he knows Florida doesn’t have to play at Mizzou this year. The Gators do, obviously, still play against the Tigers … which they scheduled as their homecoming game. Hmmmm. Methinks Mizzou might have a chip on its shoulder for that trip down to Gainesville. Every post you make brings the two biggest trolls on SDS, both Ole Miss Homers. Bunky should be here son since he always checks my post to determine where he first post of the day will be simalir to the douche above chasing you down. The Missouri UF game should be a fun one. I wonder how loud the UF crowd will be if Missouri scores in bunches again against them. I’m going to assume that we’ll still have our head coach by that time – and maybe more than 10 players who even give a flip. And an accountable S&C program should pay dividends across the board. I won’t ever guarantee a win. But I also highly doubt Mizzou even comes close to throttling us this season. No point man, connor will bash UF every single chance he gets. His wife prob f! @led a former player or something. I expect it to be a tightly contested game. And I expect it to be the one that decides 2nd place in the east. Definitely a swing-game for both teams this year, I think. You can’t forget about SC. They will be in that battle also. I’ll say it again: No one expected any major overhaul to the uniforms. None of the other three Jordan Brand schools overhauled their uniforms either. The cleats were the biggest change to gameday wear. It was much more about the new gear for players and fans. Florida needs to focus on winning the game as that mid-west ‘fly-over country’ Missouri has an over all record of 4 wins to 3 losses against Florida. Stop it. He has a right to talk about his team and their freaking uniforms without Mizzou trolls coming after him for literally no reason. I thank you for your civil attitude, sir. Not a problem. Every fanbase has their clowns, and I sort of think it’s our job to police our own. It was media days. The media showed up with their A game and the players/coaches responded with their A game. What a great conference. I was once in class with Drew Lock, and since we were both in the School of Natural Resources we bumped into each other some. He was always this really great combination of down to earth and simultaneously ridiculously charismatic. He wasn’t even a good player yet at that point in time, but hes just the sort of guy you’d want to be around even if he were, say, on the cross country team. It is no surprise at all that he crushed it in this setting. Exact same guy I interacted with back when I was still in undergrad. Since its come down to comparing uniforms, worth a first down against your FCS,team, who is most recognized on the national level? Remember I said national level. So A&M is a loser of SEC media days because Fisher failed to answer your “gotcha” question to your satisfaction and a coach who has since been fired failed to recruit a player? Objective opinions abound.